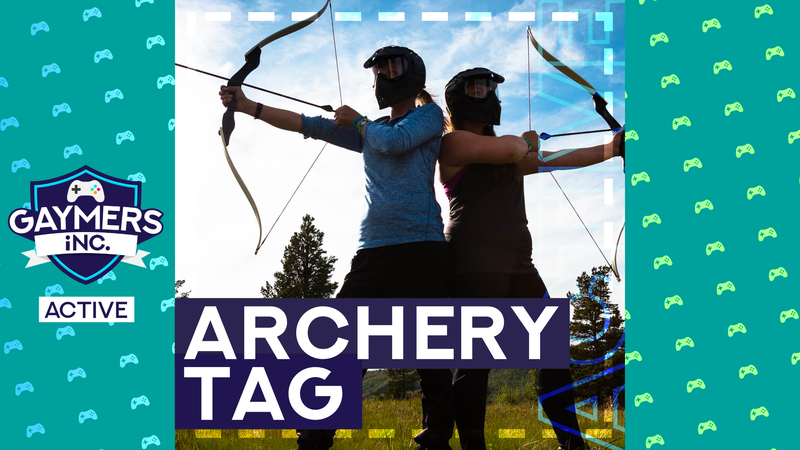 Archery Tag – Gaymers iNC. - Gaymers iNC.
Archery Tag – Gaymers iNC.
Have you ever wanted to shoot an arrow at another Gaymer? Well now is your chance! We’re back once again at 2020 Archery for another awesome Gaymers Active Archery Tag! To secure your place, it’s £31.05 for 1.5hours or archery and games! We had such an amazing time last time so definitely worth doing it! Let’s meet at London Bridge at 11:45am. They’ve recommended to wear loose sports clothing, and if possible to wear contact lenses instead of glasses as the face masks are quite tight . If you’d still like to play we may be able to add a couple more people in. Get in touch with me (Yusif) if you’d like to. Channel your inner TowerFall Hero and shoot the opposing team with arrows. You’ll have to run into the middle to get any arrows in the first place though. Get tickets - £31.05 Join facebook group This is a ticketed event. Please join the Facebook group and get a ticket before going to the venue.